Got a Trade Week 2015 is a nationwide campaign to raise awareness of workplace qualifications among jobseekers, their teachers and parents. 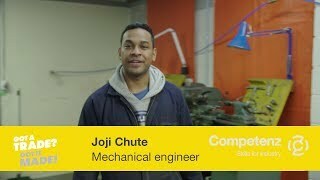 New Zealand needs skilled tradespeople. The 2014 Talent Shortage Survey, produced by Manpower Group, shows that engineers, technicians and skilled trades feature among ‘the top-5 jobs employers have difficulty filling’ across Asia-Pacific. Globally, skilled trades are the highest in demand. 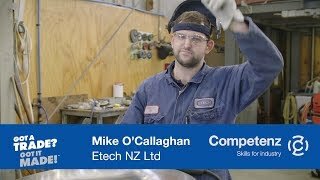 Got a Trade Week 2015 aims to enhance public perception of training and career prospects in New Zealand’s service and trade industries by getting up close and personal with modern-day apprentices, trainees and the companies that employ them. Their stories will inspire and seed conversations at home, at school and in the workplace. Got a Trade Week 2015 brings to life the needs and aspirations of young New Zealanders trying to find where they fit in the world. It also focuses on the sense of pride that comes from acquiring new skills and qualifications on-the-job. The inaugural Got a Trade Week is a national programme of public and media events that celebrate the talent and achievements of trade apprentices and trainees. Launched at the 2014 Careers Expo, the Got a Trade? Got it Made! campaign is the collaborative brainchild of seven Industry Training Organisations – (BCITO, Competenz, Connexis, HITO, MITO, Service IQ and The Skills Organisation). As part of Got a Trade Week 2015, Competenz and the companies we work with will host Competenz Discovery tours. These tours are a chance for students and parents to visit trades workplaces around New Zealand and discover the huge range of interesting work these companies undertake. The tours will take place outside school hours to enable parents and caregivers to attend. They will include practical demonstrations, presentations and opportunities for students to take part in hands-on activities. This event will bring together 70 top graduates from the industries involved in Got a Trade Week 2015. Graduates will hear from motivational speakers, including people who are enjoying successful, rewarding careers in these trade and service industries. They will also take part in a range of activities designed to build their leadership skills and whet their appetite for more. The event will take place in Auckland, at the premises of national accountancy firm Ernst & Young.